CITIC Securities could raise $5 bln in a beefed-up Hong Kong share sale. China’s biggest broker is touting more margin financing business and a new strategic partner. Those benefits, plus the country’s stock boom, have anaesthetized investors against the pain of dilution. CITIC Securities plans to increase a proposed issue of shares by selling stock to China’s social security fund at a 43 percent discount to its Hong Kong closing price on June 8. China’s biggest brokerage by assets and earnings had already received permission from shareholders to issue up to 1.5 billion new Hong Kong-listed shares for no less than 80 percent less than its five-day average closing price, to no more than ten investors. The proceeds are mainly to fund “flow” businesses like margin trading and securities lending, it said in December. CITIC Securities now plans to issue 1.1 billion new shares at a price still to be set, plus a further 640 million to the National Social Security Fund. The new issue is dependent on a vote by holders of both Shanghai-listed and Hong Kong-listed shares. 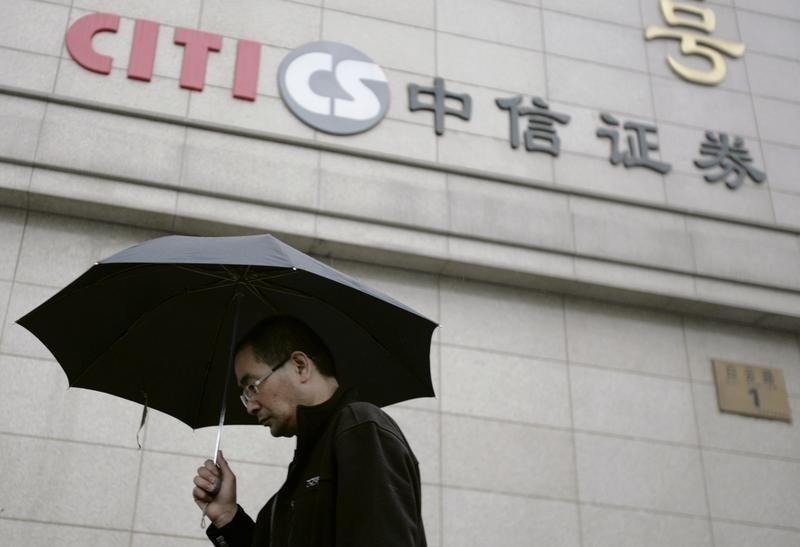 State-owned CITIC Ltd holds just over 20 percent of the company. After the two issues of new stock, its holding would fall to around 17.5 percent.